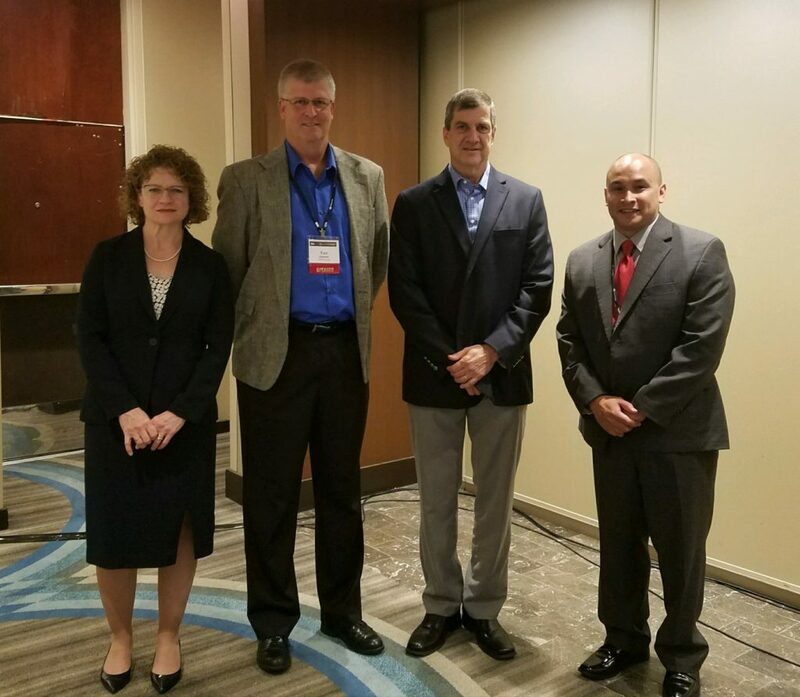 Catherine Nielsen Keller & Heckman LLP, Tom Hammer Flint Group, Tom Dupont – acpo and Juan Munoz Electronic Imaging Materials, Inc.
acpo Corporate R&D Director, Tom Dupont spoke at the TLMI #printTHINK Summit about the rise in flexible packaging in the narrow-web packaging market. The printTHINK Summit brings TLMI members and nonmembers together to support the needs of converters’ operational, technical and business staff. This entry was posted in Announcement, News on September 13, 2017 by Tammy Calhoun.